William & Mary is the only law school in Virginia to receive a 2018 Military Friendly® School designation, and is ranked first among law schools receiving the 2018 designation. Students in the Supreme Court Seminar, taught by Professor Neal Devins, spent two days in Washington, D.C., as part of the class. Liesel Zimmerman J.D. '18 blogged about the class's trip, including their visit to the Supreme Court. First-year W&M law students touch many lives in the community through the 17th annual Thanksgiving Basket Competition, sponsored by BLSA. Judge John Charles Thomas recently visited the Law School to talk with students about racial disparity on state and federal benches. The W. Taylor Reveley, III Classroom has been dedicated by Hunton & Williams LLP, alumni and friends in gratitude for President Reveley's dedication and exceptional service. On October 24-26, law and business students learned from the best during the annual McGlothlin Leadership Forum. The Virginia Coastal Policy Center recently hosted its fifth annual conference, "Defending Our Coasts: Ensuring Military Readiness and Economic Viability as Waters Rise." Professor David L. Callies has spent his career advancing the importance of property rights to individual liberty and to society in general. Scholarships are versatile, honoring distinguished members of the Law School community and helping worthy students. The non-partisan voter assistance hotline at (757) 742-3095 will be staffed from 8 a.m. to 7 p.m. on Tuesday, Nov. 7. A Q&A with Leila Jacobson Noël, a 1983 graduate of the Law School, who is a partner at Cappello & Noël LLP in Santa Barbara, CA. She established the Gregory J. Mitchell J.D. '83 Scholarship Endowment to honor her classmate. With William & Mary President Taylor Reveley set to retire in 2018 after 20 years of service to the university, the Marshall-Wythe School of Law Foundation established the W. Taylor Reveley III Law Scholarship. The seventh annual McGlothlin Leadership Forum will be held Oct. 24-26 at the Law School and the Raymond A. Mason School of Business at William & Mary. The annual forum provides students the opportunity to engage with pre-eminent leaders in business and law, and is the vision of Frances G. and James W. McGlothlin ’62, J.D. ’64, LL.D. ’00. Private support for student scholarships plays an increasingly vital role in Marshall-Wythe’s ability to attract the most outstanding students. Adriano de Seta LL.M. '18 was among 10 students from across the country profiled in a Fall 2017 National Jurist story titled "The Most Interesting LL.M. Students in the U.S."
Senior active duty and retired military officers, policy experts, and national, state and local officials will gather on October 27 in Williamsburg for “Defending Our Coasts: Ensuring Military Readiness and Economic Viability as Waters Rise,” the fifth annual conference presented by the Law School's Virginia Coastal Policy Center. Virginia Coastal Policy Center Among VEE "Partners in Excellence"
The Law School's Virginia Coastal Policy Center was among 22 “Partners in Excellence” recognized by the Virginia Environmental Endowment (VEE) on October 5 during a special program in Richmond that marked the culmination of VEE’s year-long 40th anniversary celebration. Ambassador Villarosa joined other alumnae panelists in a lively discussion of the changing roles of women in government and politics, as well as the challenges and opportunities facing female leaders. Judge Olds was among recipients of the 2017 Douglas N. Morton ’62 Alumni Service Award recognized at fall banquet hosted on September 15 by William & Mary Alumni Association. Alumnae share expertise and advice on mentoring with students at William & Mary Law School's Sixth Annual Leadership Conference. There is plenty to learn and to enjoy for LL.M. students coming to Williamsburg to study the American law system. Students and scholars from around the world come to W&M Law school through the International Scholar-in-Residence program. Prof. Tillman Breckenridge received the 2017-18 St. George Tucker Adjunct Professor of Law Award at the Law School's annual kickoff luncheon. Thanks to the generosity of alumni and friends, William & Mary Law School recently completed the most successful fundraising year in its history, receiving $8.27 million in Annual Fund contributions. For the twentieth year in a row, the Law School set a new Annual Fund record. Professor Roberts became Vice Dean of the Law School effective June 30. Law360 Recognizes Bunch as Among "Rising Stars"
S. Douglas Bunch ’02, J.D. ’06 was among a select group of attorneys under 40 designated as “Rising Stars” by Law360 in July. William & Mary Law School welcomes Kevin Haeberle to the faculty this fall. The Law School will offer an online certificate program beginning in August that is designed for anyone who wants to become a knowledgeable and effective advocate for veterans and service members seeking disability compensation benefits through the Department of Veterans Affairs. On August 23, 2017, the United States Court of Appeals for the Fifth Circuit affirmed a district court’s finding in favor of Appellee, Larry Walker, a client of the Appellate and Supreme Court Clinic. Professor Nathan B. Oman and Anna-Rose Mathieson of the California Appellate Group LLP wrote a brief signed by 21 scholars of law and Mormon history filed Thursday in the U.S. Supreme Court attacking President Trump’s ban on immigrants and refugees from six Muslim nations. The Law School recently welcomed the J.D. Class of 2020, the LL.M. Class of 2018, and transfer and visiting students. The PELE Clinic, along with Wrightslaw, hosted the 7th annual Institute for Special Education Advocacy (“ISEA”) on July 30 through August 4, 2017 at the Law School. The Law School recently received a $5.2 million gift in honor of the late Judge R. William Arthur ’38, LL.D. ’40. The gift powered the Law School closer to its goal of raising $75 million during the For the Bold campaign. Gifts and commitments to the school topped $66.2 million since the start of the campaign, with $10.5 million raised in fiscal year 2017 alone. William & Mary Law School will host the 14t Annual Brigham-Kanner Property Rights Conference on October 12-13. During the conference, the William & Mary Property Rights Project will recognize Professor David L. Callies of the University of Hawai’i at Manoa William S. Richardson School of Law with the 2017 Brigham-Kanner Property Rights Prize. A group of Virginia law professors has filed a brief supporting a challenge to the General Assembly's 2011 legislative districts. W&M Law alumna Barbara Johnson J.D. 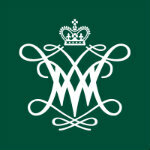 '84 will join the William & Mary Board of Visitors in July. The Virginia Coastal Policy Center at William & Mary Law School, the Virginia Institute of Marine Science, and Virginia Sea Grant have each received funding for projects during the latest round of grants from the Virginia Environmental Endowment (VEE), the VEE announced on May 9. U.N. Special Envoy Nicholas Haysom discussed the crisis in a May 3 address at the European University Institute, co-sponsored by the Center for Comparative Legal Studies and Post-Conflict Peacebuilding. The William & Mary Law School Association honored Heidi W. Abbott J.D. ’91 with the 2017 Citizen-Lawyer Award during the Law School's Diploma Ceremony on May 14. The award is the association’s highest recognition and is given annually to a graduate or friend of the Law School who has made "a lifetime commitment to citizenship and leadership." W&M Law faculty recently brought together leading experts to address the challenges and opportunities of 21st-century international law. The Class of 2017 honored Professor Stacy Kern-Scheerer with the 2017 Walter L. Williams, Jr., Teaching Award. Professor Paul Marcus was honored with the McGlothlin Award for Exceptional Teaching at William & Mary Law School’s May 14 Diploma Ceremony. The annual award was established in 2016 and is given to two outstanding educators from the Law School and Mason School of Business who have demonstrated sustained commitments to teaching. The William & Mary Law School Association recognized Bishop M. Garrison J.D. '10 as recipient of the Taylor Reveley Award during the Law School's May 14 Diploma Ceremony. At graduation, the Class of 2017 celebrated another amazing Class Gift participation rate, 92 percent. On the eve of her retirement, Sally Kellam is awarded for her years of selfless service to the Law School. As the members of the Class of 2017 celebrated their graduation, Judge Lucy Haeran Koh urged them to think about the people who have played important roles in their lives. She shared how the example set by her grandmother and parents continues to inspire and guide her. On Saturday, May 13, the Law School community gathered in Colonial Williamsburg's Kimball Theatre with soon-to-be-graduates, their families, and friends to celebrate the Class of 2017's contributions and achievements. The Law School community recently celebrated Prof. Susan Grover's 29 years of service to William & Mary. The Law School has dedicated a new interview room in honor of the late Robert C. Elliott II, J.D. '69. ADR team members traveled to Scotland and took first place at the Annual International Academy of Dispute Resolution's International Law School Mediation Tournament. Taylor Reveley announced his plans to retire on June 30, 2018, after a decade leading the university. The text of a 2015 ACLU resolution honoring Professor John Levy. Professor Levy died in April 2017. On April 21, the U.S. Court of Appeals for the Tenth Circuit decided United States v. Soza in favor of Appellant Bradley Soza, a client of the Appellate and Supreme Court Clinic. Professor Oman was among 19 scholars of Mormon history who filed a brief in the U.S. Court of Appeals for the Ninth Circuit attacking President Trump’s ban on refugees and immigrants from six Muslim countries. The Virginia Coastal Policy Center at the Law School is hosting a tree dedication ceremony in honor of Sharon Coles-Stewart J.D. ’75 at 3 p.m. on Saturday, April 22nd. The ceremony will be held in the courtyard of the Law School's new Hixon Center for Experiential Learning and Leadership. Judge Lucy Haeran Koh, a federal district court judge for the Northern District of California, will deliver the address at William & Mary Law School’s diploma ceremony on May 14. The late Professor John Levy was critical to the success of W&M Law School's clinical and legal skills programs, and renowned for his commitment to public service. John Levy, William & Mary Law School professor emeritus, passed away on April 2, 2017. His career as a professor at William & Mary Law School (1976-2002) touched the lives of many in the William & Mary community. The two-day event provided timely discussion of emerging technology and the legal doctrines affecting big data and national security. Professor David L. Callies of the University of Hawaii at Manoa William S. Richardson School of Law will receive the 2017 Brigham-Kanner Property Rights Prize in October from the William & Mary Property Rights Project. Callies will be honored during the project’s fourteenth annual Brigham-Kanner Property Rights Conference to be held at William & Mary Law School in Williamsburg, Virginia, on October 12-13. W&M Law School's Journal of Women and the Law recently hosted a symposium on "Combating Human Trafficking Through Law and Social Policy" - the topic of the journal's Fall 2016 special issue. Claire Lashley's summer pro bono work at a large firm in New York City made a difference for a client. The names of the nominees to the Law School Association Board of Directors are now available to review. Alumni are welcome to read the roster of nominees and fill out the nomination proxy. Mary Catherine Amerine has won three writing competitions during the course of her law school studies. W&M Law School alumna Beth Hopkins J.D. '77, who recently retired from the Wake Forest University School of Law faculty as professor emeritus, will speak at the annual brunch sponsored by the Black Law Students Association. U.N. Special Envoy Nicholas Haysom will present a lecture, “Sudan and South Sudan: Prognosis for Peace,” on Tuesday, May 2, at 5 p.m. at the European University Institute (EUI) in Florence, Italy. The lecture is free and open to the public and is co-sponsored by the EUI and William & Mary Law School’s Center for Comparative Legal Studies and Post Conflict Peacebuilding. 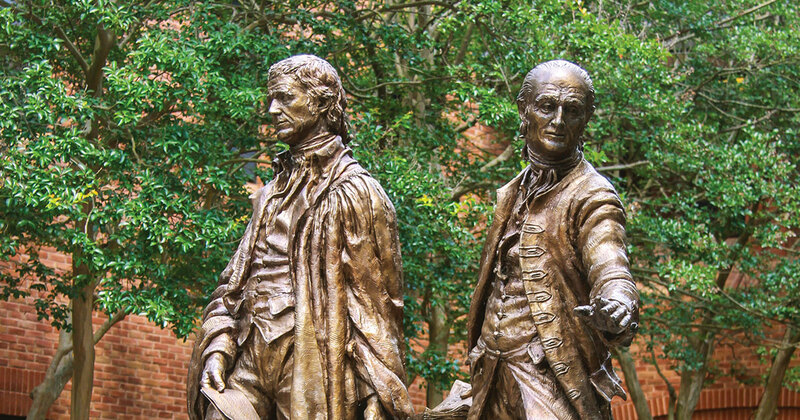 On March 24-25, the William & Mary Bill of Rights Journal will host scholars from across the country for a conference titled "Big Data, National Security and the Fourth Amendment." The theme of BLSA's annual symposium on race and the law was "The Influence of Implicit Racial Bias in Society and Criminal Justice." Amerine attended the 2017 Grammy Awards as one of four finalists in a writing competition sponsored by the Grammy Foundation’s Entertainment Law Initiative. W&M Law School has been ranked sixth among Top 10 Military Friendly® graduate schools. Prof. Keith N. Hylton of Boston University School of Law gave this year's George Wythe Lecture. The dedication of the two-story, 12,000-square-foot center marked the culmination of a 16 -year building program, which has more than doubled the physical size of the school and also has included the addition of the North Wing and the Wolf Law Library. Breit, a veteran of more than 200 jury trials, has coached the Law School's National Trial Team through 13 seasons. Alumnae share expertise with students at William & Mary Law School's Fifth Annual Leadership Conference. Judge Peter F. Pontzer, a William & Mary Law School Class of 1989 graduate, was awarded the Carnegie Medal in December for his role in rescuing a teenager from drowning off the Outer Banks in North Carolina in July 2015. Undergraduate, graduate, and law students are performing in this year’s production of “A Memory, a Monologue, a Rant, and a Prayer." Proceeds from the performance benefit Avalon, the domestic violence shelter in Williamsburg. National Jurist has named Professor Paul Marcus to its annual list of the “Most Influential People in Legal Education.” Marcus is the Haynes Professor of Law at William & Mary Law School and president of the Association of American Law Schools. Professor Angela M. Banks on Immigration Law and Imminent Issues for U.S.
A Q&A with immigration law expert Professor Angela M. Banks. Fredric Lederer, Chancellor Professor of Law and director of the Center for Legal and Court Technology, a joint project of William & Mary Law School and the National Center for State Courts, recently attended the fall 2016 International Judicial Symposium in Korea held by the Supreme Court of Korea. Lederer was invited to speak at the event, which focused on the “Fourth Industrial Revolution” and its impact on the future of society and the legal field. Carrie Mattingly, a third-year law student at William & Mary, argued the case with the support of Emily Hessler, also a third-year law student. Their classmates Melanie Lazor and Candace Wherry were primarily responsible for the briefing.